Defendants who have been charged with or convicted of domestic violence offenses are usually subject to protective orders that would prohibit contact with the named victim for a specific period of time. Under California Penal Code Section 1203.097 PC, the sentencing court is required to issue a protective order as a condition of probation. In addition, a protective order is generally required while criminal charges are pending. Protective orders can have a devastating effect on families and in many cases, the protected party often wants to have the terms changed or have the protective order dropped. Anyone looking to have the terms of a protective order changed should speak with an experienced domestic violence attorney as soon as possible. When a judge issues a protective order, the terms of the order will be read to the defendant in open court and the defendant will be formally served with a copy of the order. A protective order may prohibit the named party from having any contact with the protected party. This would include indirect contact through third parties (other than the defendant’s attorney) and electronic contact online or via text message. The order may include a stay away order that would prohibit the defendant from coming within a certain number of feet of a specified address. The protective order may allow for limited contact. The order may allow contact to conduct the peaceful transfer of children pursuant to a custody agreement. In addition, the protective order may be a “Level One” order that would allow peaceful contact between the parties. Violating a term of the protective order can have serious repercussions. 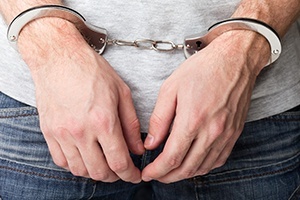 The violation can be considered a probation violation and can result in new criminal charges. In many cases, the named protected party in a restraining order may later want to have the order changed or rescinded in order to allow contact with the defendant. The protected party may want to reunite with the defendant or at least have peaceful contact to allow for cohabitation or co-parenting. However, a restraining order remains in effect even after the protected party decides that he or she no longer wants it. This means that if the parties are found together in violation of the protective order, the party named in order could be arrested and may have his or her grant of probation violated. In order to have a protective order changed or rescinded, the parties must return to Court to have the judge formally change the terms of the order. For defendants who are on probation, the judge will typically want to hear directly from the protected party in order to ensure that the person truly wants contact and is not under duress. Even where the protected party personally requests that the order be dropped or changed to a “Level One” order, the judge may deny this request. In some cases, the judge may want to see the defendant complete a certain number of domestic violence counselling sessions before lifting the order. In other cases, the judge may feel that a protective order is appropriate regardless of what the protected party believes. If you or a loved one have been arrested for domestic violence or have been convicted and there is an active protective order, it is crucial that you meet with an experienced criminal defense attorney experienced in litigating these types of issues. As a former Deputy District Attorney with over 14 years of prosecutorial experience, Michael Kraut understands how to effectively assist those charged with domestic violence offenses at all stages. For more information about changing a domestic violence restraining order, and to schedule your free consultation, contact Michael Kraut at the Kraut Law Group located at 6255 Sunset Boulevard, Suite 1480, Los Angeles, CA 90028. Mr. Kraut can be reached 24/7 at 888-334-6344 or 323-464-6453.